New Society Publishers - New Society Publishe, 9780865717572, 305pp. Community, youth, nonprofit, education, entrepreneurial, and religious organizations all have exciting ambitions, but they often lack the creative skills to impact people on a deeper level. 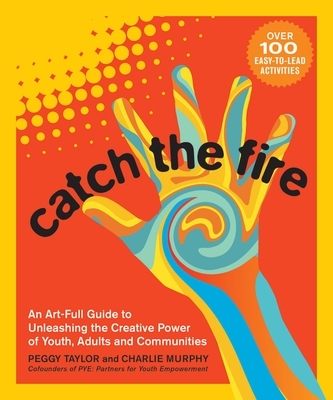 Catch the Fire is a complete guide to using arts and empowerment techniques to bring greater vitality and depth to working with groups of youth or adults. Based on the premise that you don't have to be a professional artist to use the arts in your work, this unique book invites group leaders into the realm of creativity-based facilitation, regardless of previous experience. Peggy Taylor and Charlie Murphy are co-founders of PYE Global: Partners for Youth Empowerment and developers of the Creative Community Model, a process for building creative, heart-centered learning communities with youth and adults from diverse cultures and socio-economic backgrounds. Peggy is co-author of Chop Wood, Carry Water: A Guide to Finding Spiritual Fulfillment in Everyday Life which sold over 250,000 copies worldwide. Peggy Taylor is a writer, musician and creative development specialist, and is co-founder and Director of Training of PYE Global: Partners for Youth Empowerment. Together with Charlie Murphy, she has spent the past two decades developing the Creative Community Model, a process for building creative, heart-centered learning communities with youth and adults from diverse cultures and backgrounds. Peggy is co-author of Chop Wood, Carry Water: A Guide to Finding Spiritual Fulfillment in Everyday Life that sold over 250,000 copies worldwide. She is co-founder of Power of Hope, a creativity-based youth program in the Pacific Northwest and co-founder of Hollyhock, a learning center in British Columbia. Charlie Murphy is renowned for his group facilitation and program design work integrating the arts into youth development. He is an award-winning musician with over 30 years experience in the field of experiential learning. Charlie is co-founder and CEO of PYE Global: Partners for Youth Empowerment. Together with Peggy Taylor, he has spent the past two decades developing the Creative Community Model, a process for building creative, heart-centered learning communities with youth and adults from diverse cultures and backgrounds. Charlie is co-founder of Power of Hope, a creativity-based youth program in the Pacific Northwest, and he is the recipient of an Ashoka Fellowship, in recognition of his achievements as a social entrepreneur.